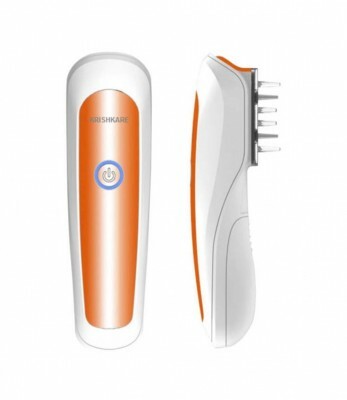 Designed to treat hair loss, this comb has a safe, nourishing laser, and promotes hair growth in both men and women. The laser stimulates hair follicles, helping them grow, and thus, reversing the thinning process. Easy to use with a one button ON/OFF, this battery operated laser comb is perfect for at home, and on the go use. It revitalizes damaged hair and is medically approved with a CE mark.